At the Chamberlin Group, we believe in Giving Back to our community. Over the years we have contributed to many charities which help our local area. With help from our tax clients we have raised money for Toys for Tots at Christmas time through the U.S. Marines and provided teachers which have limited budgets with school supplies for the St. Louis Language Immersion School. We have contributed school supplies to Kid Smart. They offer children the opportunity to grow in a fun-filled learning environment that prompts their love of learning. We have also contributed to the need by donating to Almost Home which finds homes and jobs for single moms and Covenant House that works to reduce Youth homelessness, and sponsoring families from the St. Louis Post Dispatch holiday season’s 100 Neediest Cases. In 2016 we collected over 2,000 pairs shoes for the Soles4Souls program. 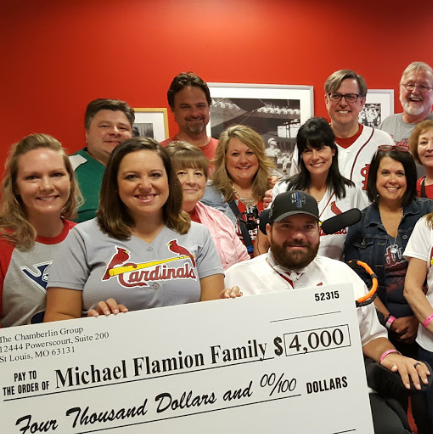 In 2017 we raised $4,000 for disabled Ballwin Police Officer Michael Flamion and his family. 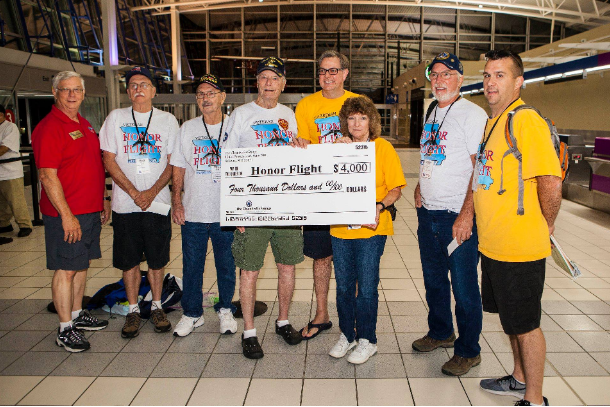 More recently we have volunteered with and raised funds for Honor Flight which flies WWII, Korean, and Vietnam veterans to Washington D.C. to see their memorials. Marianne Bouras, our Director of Operations, participates in Bike MS each year to help the MS Society fund research, advocate for change, and help people with MS live their best lives. The Chamberlin Group is proud to support Bike MS and the research they are doing to one day bring us closer to a world free of MS. Many Thanks to all our clients who have donated to these causes which have changed so many lives!